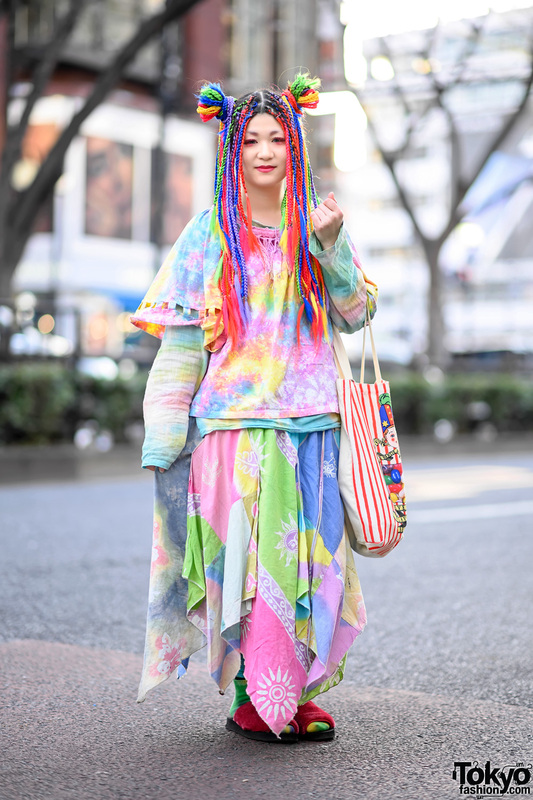 While on the street in Harajuku, we ran into blonde-haired Taro, a 20-year-old staffer at Wall Harajuku (a cool Japanese boutique located inside of the nearby LaForet Harajuku department store). 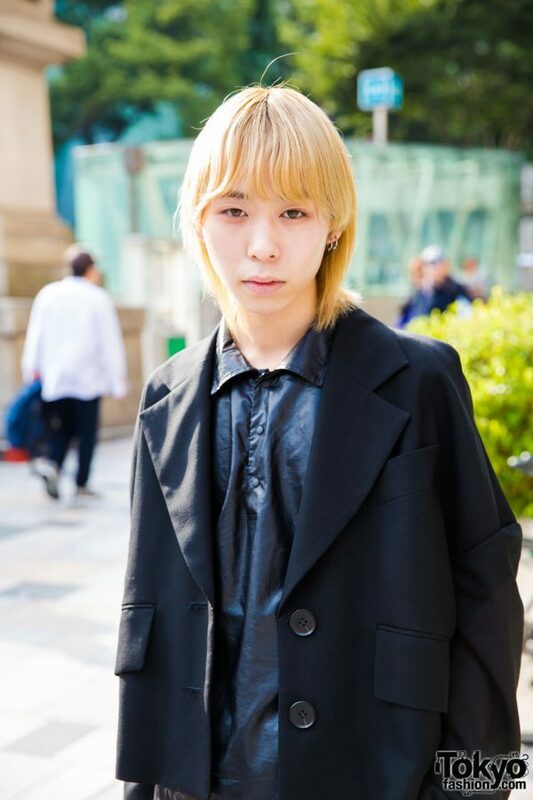 Taro’s ensemble features a cropped blazer from Japanese designer Mikio Sakabe over a collar shirt from MSGM, polka dot pants from Kidill, Dr. Martens boots, and double silver hoop earrings. Taro likes to listen to house music. Follow him on Twitter and Instagram.